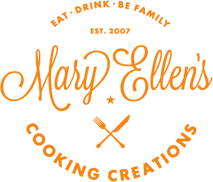 Today Mary Ellen's Cooking Creations turns the big 1-0!! 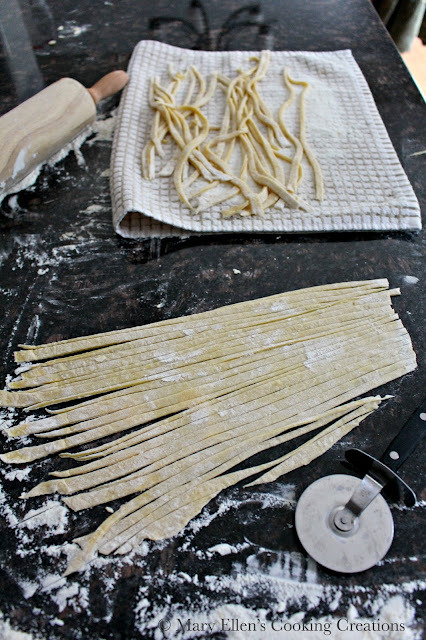 Ten years of sharing recipes from my kitchen - I can't believe it! Ten years ago I had never cooked risotto. I had never baked something that didn't come in a box. Believe it or not, I had never worked with bone-in chicken (except that one time I made chicken soup from scratch in high school). There were so many dishes and ingredients I hadn't heard of, or wasn't brave enough to try. I (thought) I loathed mushrooms and blue cheese and eggs. Things like homemade tomato sauce, pan sauces, homemade frosting and whipped cream did not exist in my kitchen. And my knife skills? None. I still used to put my index finger along the top of my cheap knives. But then after being married for about three years, I took an interest in cooking, mostly because both my husband and I were getting sick of tacos, stuffed peppers, pepper steak, and cheese nip chicken. Sadly, that's about all we ate when we were both home... Thank goodness for work travel! When I first jumped into really cooking, I immediately discovered that I did not enjoy measuring and preferred to go by taste, look, and smell. I soon started to read recipes and decide what I'd change before even trying the recipe. I had some failures and some successes, and learned a LOT along the way. Weekly I was trying at least 2-3 new recipes, and Saturday nights were dedicated to date nights at home where we'd cook something new and fancy together (yes, my husband is an awesome cook and loves being in the kitchen whenever he can!). I don't think we ate the same thing more than twice for at least 2 years because I was in love with experimenting and creating new recipes. That is when I decided to start this blog - it was really just a way to keep track of recipes. I had no idea where it would take me. During those first few years, favorites were discovered and put on rotation, however I never lost that love of creating new recipes. Over the years my food has evolved to suit our lifestyle, and these days, instead of spending hours on one recipe, I focus a lot more meals to feed my family. Although every now and then I do get a full day in the kitchen and love it!! 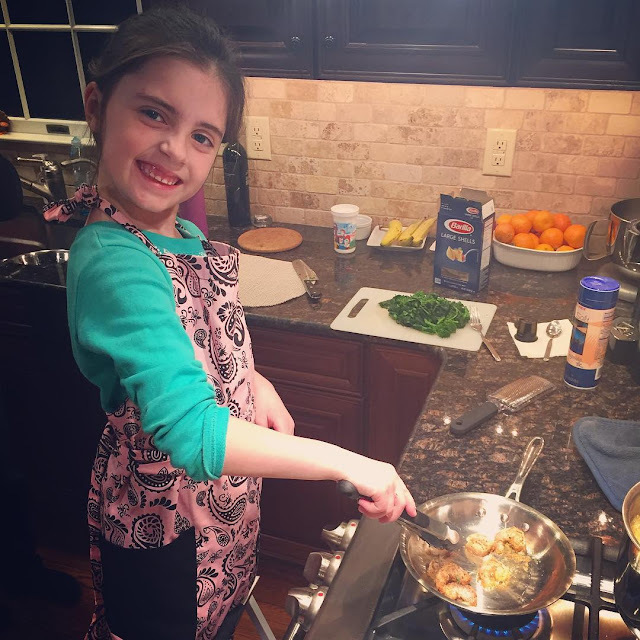 Writing this blog has taught me and brought me so much more than just cooking. Entertaining and planning menus is one of my favorite things to do. I love sitting with my notebook writing out ideas and I totally appreciate that my husband lets me run them by him a million times. Luckily he enjoys it too, and we love creating holiday menus together. We often start talking about Christmas months before the big day! And finally, it's crazy to think that I wasn't even on Facebook when I started this blog. There was no such thing as Twitter, Instagram, Yummly, Pinterest, Snapchat, Tumblr, etc. I could go on and on! It has been fun connecting with people through those platforms and learning the best ways to use them to connect with all of you (and meanwhile my 6 year old sees a logo and knows what social media platform it belongs to - it's like second nature to them!). Since my life and this blog are completely entwined, I can't help but think of how my personal life has changed over the past ten years. 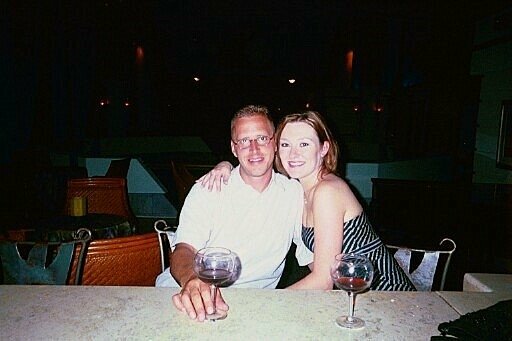 Ten years ago I was in my early 30s, married almost 4 years and working in the corporate world, traveling the country (and world) for pharmaceutical and medical meetings. After the birth of my daughter I decided to move on from that life, and now I consider myself very lucky that I am able to work part-time for now so I can be there for the school bus, school events, and extracurricular activities with my amazing 6 year old daughter. Ten years ago I wasn't even thinking of kids yet, and now this little one is almost 7! How awesome is it that she loves to get in the kitchen with me and we can pretty much get her to try (almost) anything. Most recently she tried mussels and loved them! She's an energetic little girl and keeps us on on toes - our little first grader who loves acting, dancing, cooking, singing, playing outside, reading, writing, making lists, playing games and telling jokes. Things haven't always been easy over the past ten years - although blessed to be in our forever home, it has been a continuous work in progress and it always seem like something is going wrong or breaking. We have both dealt with unemployment, secondary infertility, pregnancy losses, and the death of our first dog, Daisy Mae. During all of those times, I always turned to cooking as my therapy. Family and cooking have been my one constant through all of these ten years. My top post of all-time comes from May of 2008 - Time for a Party. 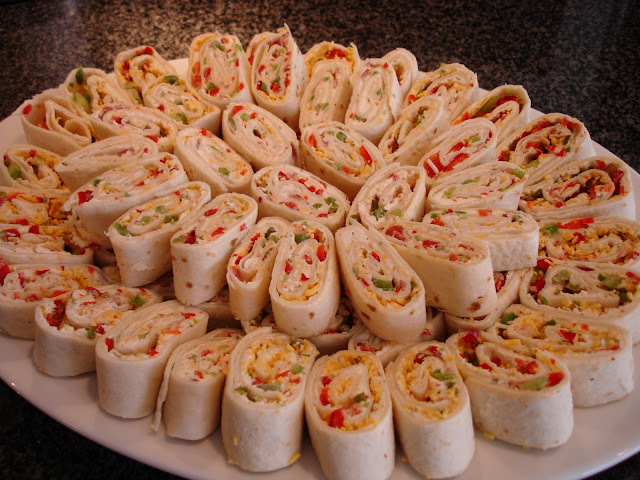 In this post I shared a menu for a party including this recipe for tortilla pinwheels, and now I see them pinned all over Pinterest. They are a hit! I take them to every party and get asked for the recipe several times at each party. Sometimes simple is the best! My husband has contributed several recipes, desserts, and wine reviews to this blog. 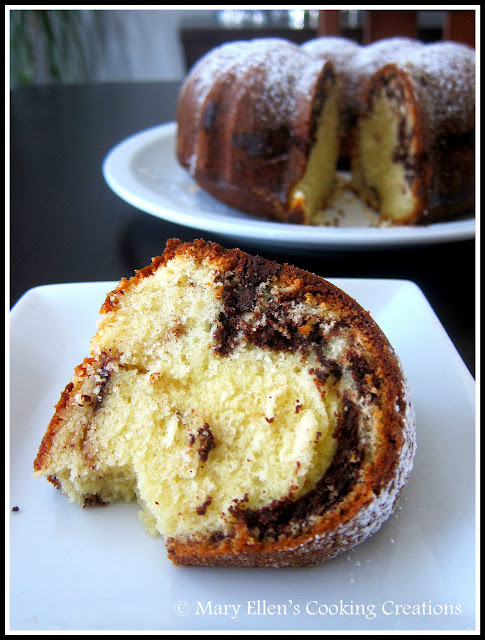 Two of his recipes are in my top searched, pinned and shared recipes! 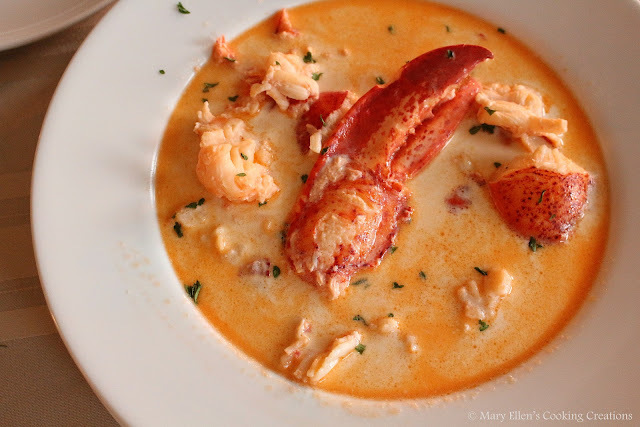 He loves making this Maine Lobster Stew, has made it for the last 2 years on Christmas, and is always looking for excuses to make it again. I'll take credit for helping with the plating and taking the photos. Another recipe of his that sends a lot of people to this blog through searches is his Beef Negimaki. After ordering it several times at our local sushi place he decided to make it on his own. We both agreed it was even better than the restaurant's! Since this post is from 2009 the pic isn't great, but what I do love about this post are the step by step photo instructions for cutting and rolling the beef. 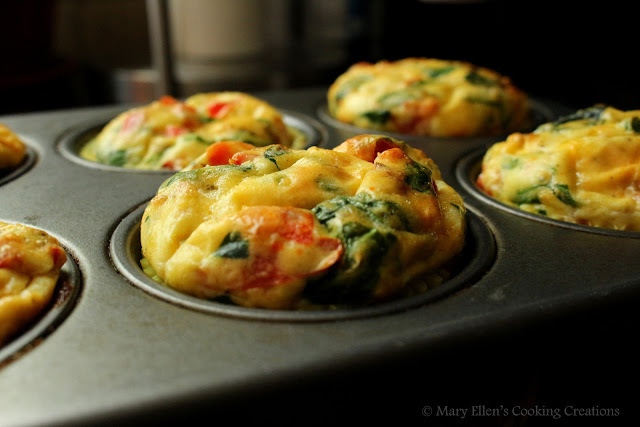 My top breakfast post of all time, and one that I make often, is a grab and go breakfast - Egg Muffins for Breakfast-on-the-Go. 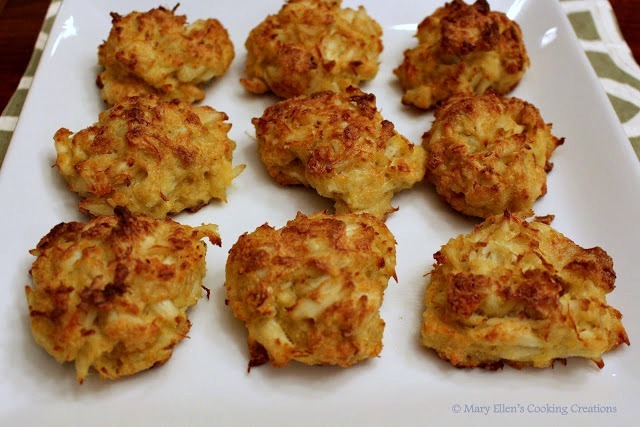 I'm so happy that this next recipe is in my top ten of all time because it is one of my favorites - Jumbo Lump Crab Cakes with a Lemon-Garlic Aioli. 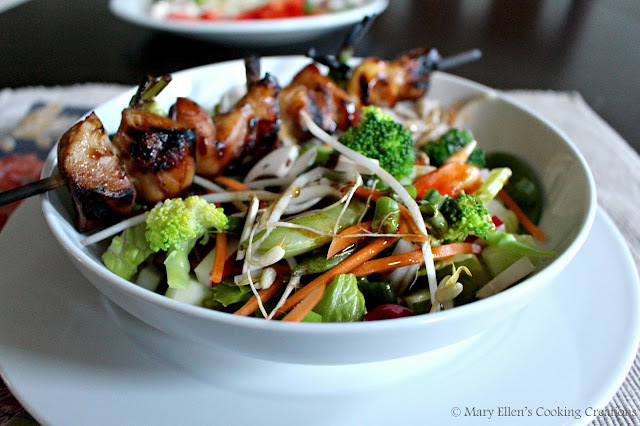 "Too hot to cook" and "grilled chicken salads" are both so commonly searched, and lead my followers to this post for Yakitori Chicken with Cold Veggie and Soba Noodle Bowls. 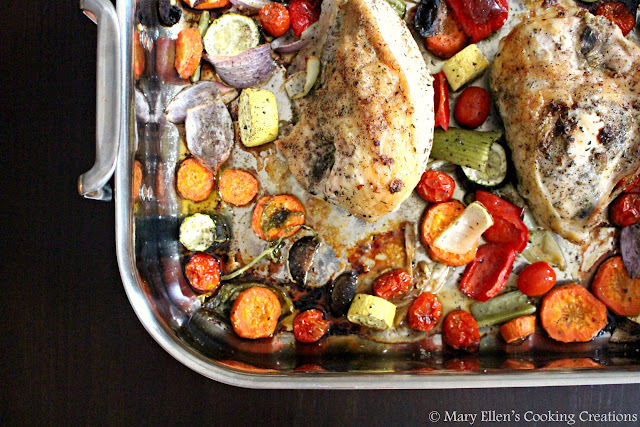 This is one of my top chicken recipes as well as a top salad recipe. 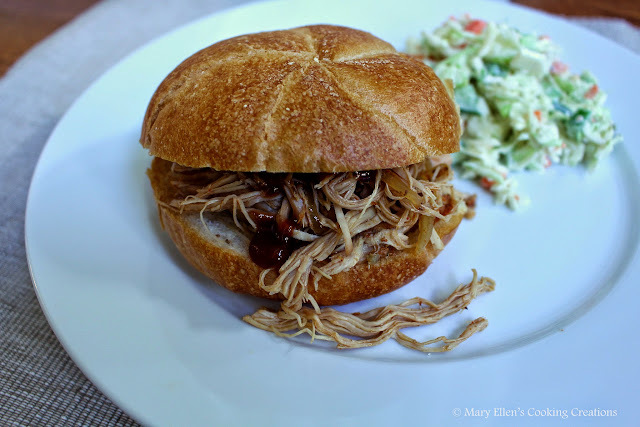 With close to 200 chicken recipes in this blog, it was really, really hard to narrow it down to my favorite. I have so many, from this French Onion Braised Chicken and this Gruyere Chicken with Mushrooms, to Shredded Chicken with Chiles and Chicken and Dumplings. I finally chose a popular recipe, and it is fitting that it is a bone-in recipe - Garlic Herb Roast Chicken with Vegetables. Soups are cooked in my kitchen once a week over the cool and cold months, so with over 80 soup recipes in this blog it is hard to choose a favorite. 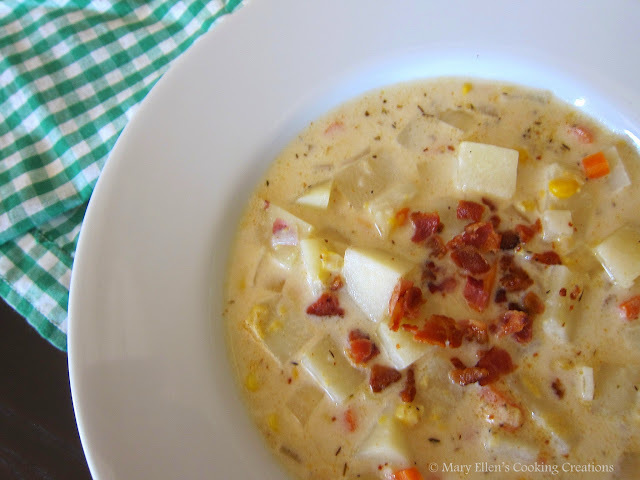 This Potato and Corn Chowder with Bacon is one of my most popular, and it is one of my favorites because it is so hearty and well, bacon! It's funny that ten years ago I had never made risotto, and now I have over 20 risotto recipes on this blog. 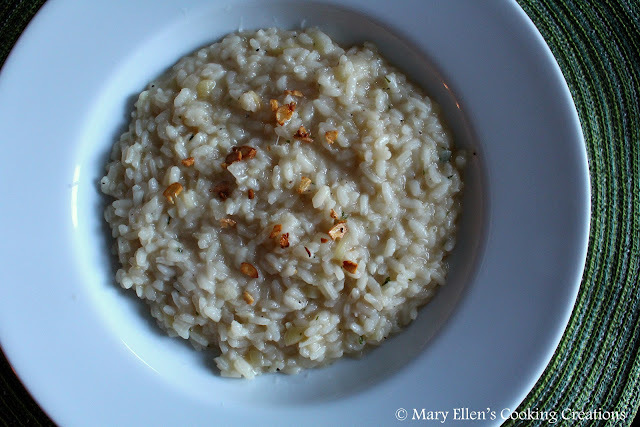 Risotto is in my top ten search words, so I picked one of my favorites for this anniversary post - Three Garlic Risotto. I have been making this one for years (it was probably one of the first risotto recipes I ever made!) but finally just blogged it recently. 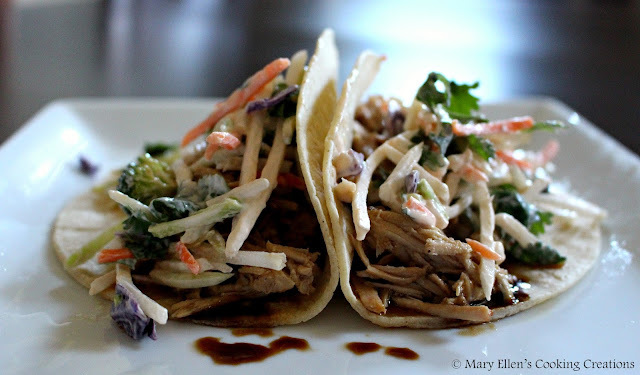 My personal favorite pulled pork recipe is the pork for these Korean Pulled Pork Tacos. These are pretty popular on Pinterest, too! 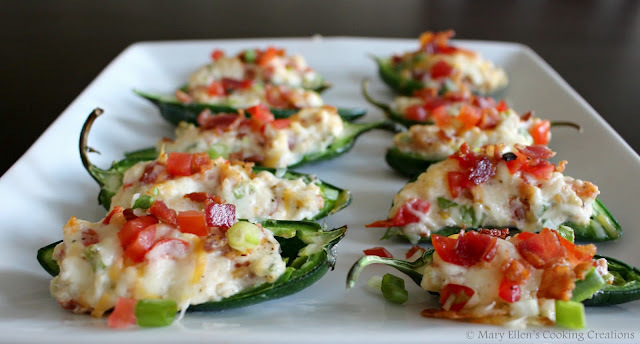 This is a newer recipe and it quickly became my second most popular appetizer - Cheesy BLT Stuffed Jalapenos, and it is easy to see why. Look how yummy! Let's finish this off on a sweet note! I don't bake that often - my husband is actually the baker in the house. This cake recipe has become a favorite of both of ours, and is my most popular dessert recipe on the blog - Philly Fluff Cake. Thank you to all of my readers and followers for making the last 10 years possible. I have enjoyed sharing and learning with all of you, and I appreciate all of your comments, likes and shares. I look forward to continuing this journey in my kitchen and with this blog, and hope you will be there with me! Thank you! Congrats on your 10th blogiversary, Mary Ellen! Looking forward to another 10+ years of amazing memories and yummy eats! COngrats on 10 years! Such delicious looking recipes and I can't wait to try some of them! Congrats on 10 years! I love this post, you did such a great job with it! I love your blog, Mary Ellen. 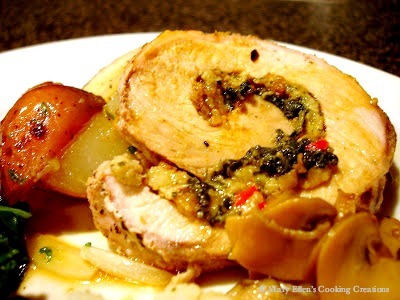 Thanks for sharing your recipes, they are so many great ones on this site! Congratulations! It's such a great achievement and I loved reading about your journey! You are blogspiration! Aww that is sweet! Thank you! !